How do you know if all of the time, money and effort you and your child have put into his or her training in the arts is worth it? Kimberly Farah, in her book “Embracing the Dream: a practical approach to embracing the performing arts dream” makes this statement: “so many times in life we get hung up on the end result and forget about the most important part, the process”. 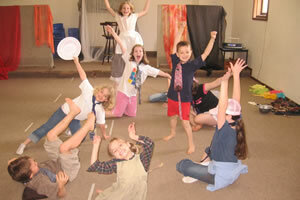 In the arts, the learning process is the key to attaining the benefits that an arts education and experience provides. The reality is that only a very small percentage of children will go on to earn a living as an actor, singer, dancer or musician, however, every single one can benefit from such training, regardless of where their dreams end up taking them. It is important, therefore, to understand the benefits of participation in performing arts training and the value to your child. Many studies have shown the numerous benefits of training and performing. Among these benefits are both obvious results and some that are more subtle and less known about and recognized. Just as one must work the physical body to maintain optimum physical condition, training in the arts helps to exercise the emotional and imaginative parts of our being. Imagination allows us to think about possibilities. Through training, the ability to imagine never before seen ideas is cultivated. Great scientists, inventors, writers and entrepreneurs have credited their ability to imagine as a key to their success. By acting, dancing, singing or playing an instrument, a child can imagine what it is to move, sound or feel a certain way and create a new experience or concept to present to others. That leads us to a second benefit of arts participation, the ability to empathize and demonstrate sensitivity to the feelings and differences of others. The child participating in performing arts is given a rich opportunity to experience the culture, emotions and belief systems of others. It allows the child to experience the human condition in a different way. It is another way to examine the history, motivation and greatness of our past and that of other cultures. This leads to a greater ability to identify with others and willingness to “think outside of the box” when confronted with someone or something that differs in world view. A third benefit is the ability to sustain motivation over an extended period of time. Arts training can take years and even decades to bring someone up to a sufficient level of skill. Whether working through a vocal solo, participating in a play or musical, or being part of a dance ensemble, many skills are needed and called upon. These include memorization, sequencing and extended and repeated repetition. Team work is required when working with others on both individual and group projects. The child must learn to be coachable, open to suggestion and willing to make corrections. To attain higher levels of skill, the individual must be able to sustain training through success and failure, periods of low motivation, failure, injury and illness and burn-out. To do so requires a great deal of patience and perseverance. Some of the more well known benefits relate to the translation of arts training into higher academic success. Performing leads to greater self-confidence and the ability to speak and perform well in front of others. Children who participate in arts have lower drop-out rates and higher class ranks. Participation gives children a sense of belonging and well-being.